So here is a short tutorial how you can get your Avatar out of openSim or a compatible online world and prepare it for your mesh activities. This tutorial was made for Blender 2.49 and for the Phoenix Viewer. It may not work well with newer versions of Blender. Prepare your avatar: Take off the shoe base. Otherwise your avatar is created with an ugly looking heel. As far as i have seen the currently effective morphs are taken into account. So watch your fingers during export. They might be morphed into the relaxed pose, pointing pose, or fist pose. If you don’t want that, you need to remove your AO (animation overrider) first. Open the Advanced Menu. If you do not see the Menu button in your top menu, then you can unhide it with CTRL-ALT-D.
and save the file to your favorite location on your computer. 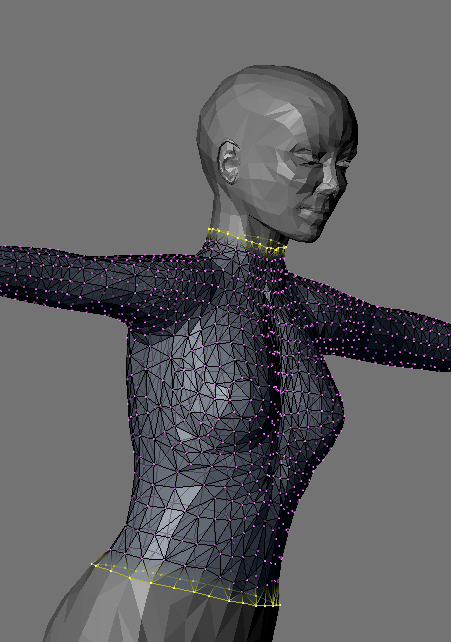 Proceed with the lowerBoddyMesh and the upperBodyMesh in the same way. If you wish you also can download all other parts of your avatar (skirt, hair and eyes) but for our purpose this is not necessary. Make a copy of avatar.blend and open the copy with blender. 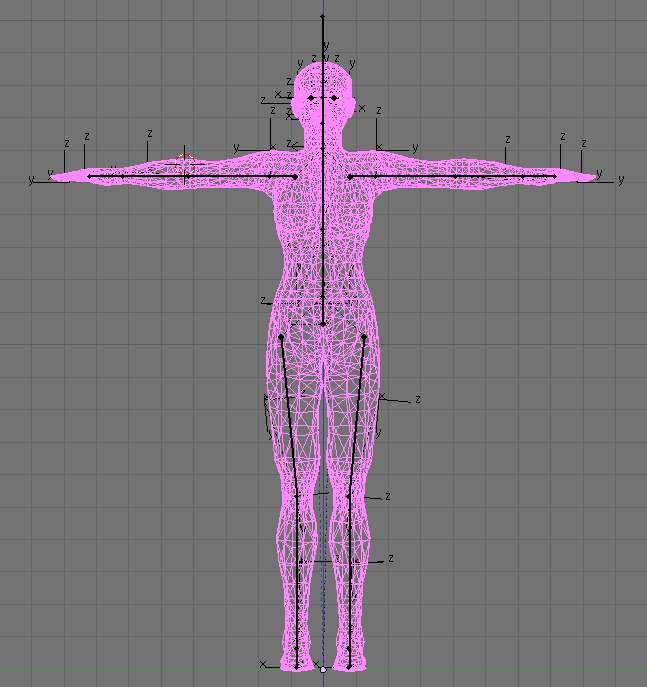 This file contains all we need to get our personal avatar perfectly rigged in a few minutes only. We do this only for convenience. It is not necessary! We will move the selected elements to another layer (layer 2) by pressing the “m” key and selecting layer 2 Press OK. This is also not necessary, but it leaves us with a cleaner desk at the end. 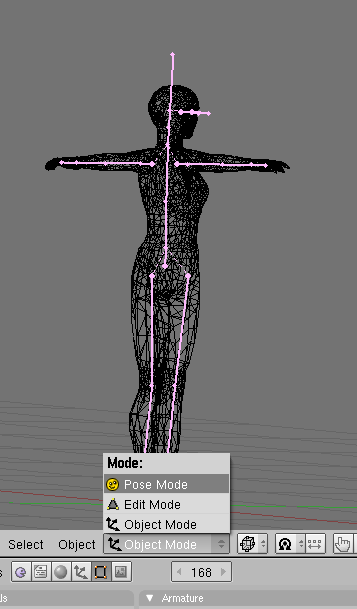 Note that you could have selected the body parts AND the armature in one step and move all of them together. But maybe you want the Armature to be placed on yet another layer, or as in my case i just have forgotten to select it right away (shhh… Mum’s the word! 😉 ). By now we have separated the 3 body parts and the armature into layer 2. We will now add the exported avatar from the first step. While still in object mode select an empty layer (by clicking on one of the small rectangular icons in the 3D view menu bar). You can just use layer 3 if you like. And since you selected an empty layer, you won’t see anything in the new layer. This is on purpose! Your SL-default avatar is still sitting on layer 2. And then click on “import”. Now the default avatar and your personal avatar are perfectly aligned to each other, but reside on different layers. You may need to adjust the size of your avatar. Take care that it is scaled such that its height matches the height of the default avatar. There may be a possible problem with tinies. I have not checked how they work with the Phoenix exporter. So if anybody stumbles over an issue with tinies i would appreciate if you reported a comment here. Thanks! Finally press CTRL – e – 1 (mark as seam). Now the yellow lines should turn orange. Now subsequently select the head, mark the corresponding seam to the upper body. Then proceed with the lower body and again mark the seam to the upper body. Note: I want to keep the exact seams for later. This comes in handy for various purposes. 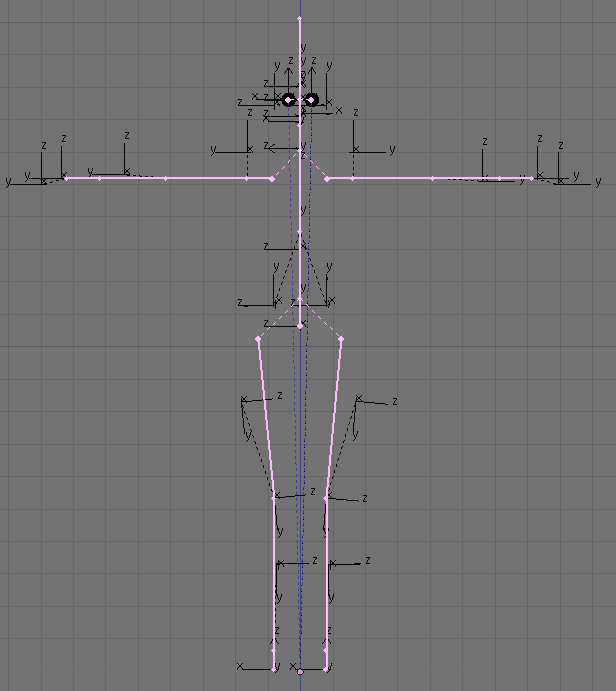 But i also want to glue the 3 body parts all together and remove duplicate vertices. But when removing the duplicates that may unintentionally remove parts of my seams too. The reason is that the remove double does not define which of the duplicates is actually removed. I can avoid to loose the seams by just defining them for each of the 3 parts separately. Then when i join the parts and remove doubles, the seams keep intact (because all duplicates are actually marked as seam and so t does not matter which of them get removed). 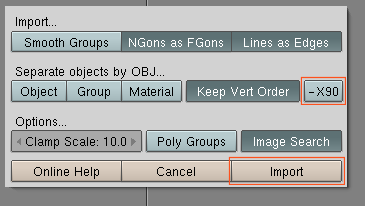 Object -> Join Objects -> Join selected (Yes, you want to merge the selected meshes). 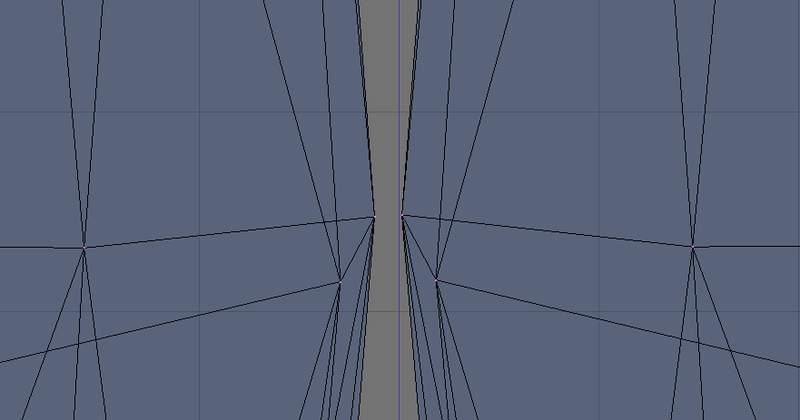 go to edit mode and remove doubles (w 6) and wonder how many vertices get removed. There are a few more of them duplicated in the mesh besides the ones at the seams. So we have now a default avatar separated into 3 parts and we have our personal avatar as one single object. Now how to proceed ? 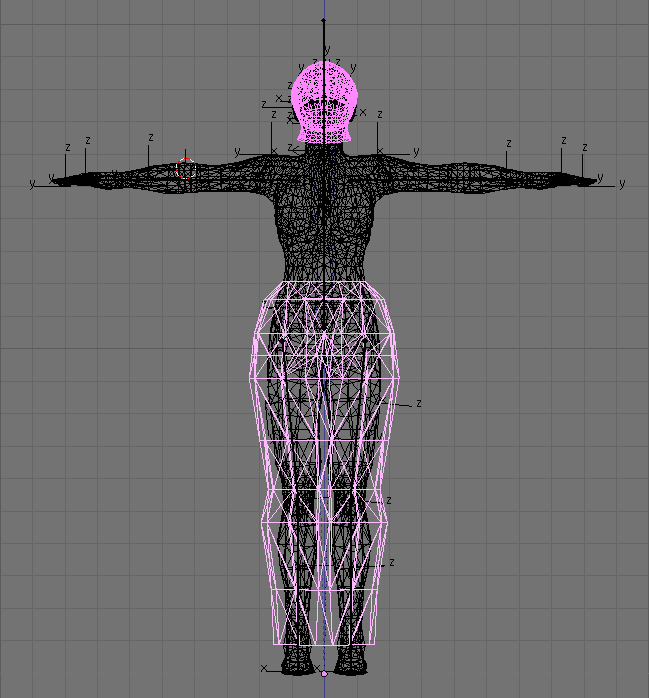 We need to rig that avatar and create the weights for the rig. 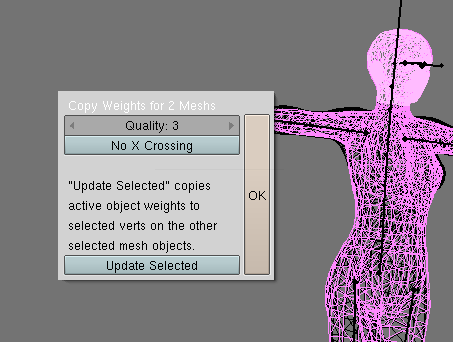 But we have one big advantage: Both meshes are fully compatible, hence the weight maps from the default avatar will fit exactly to the mesh of your personal avatar (because your avatar has been morphed from the base mesh). So we can actually just copy the weights. And fortunately blender supports that. One note beforehand: You may want to scale your avatar up or down as needed. 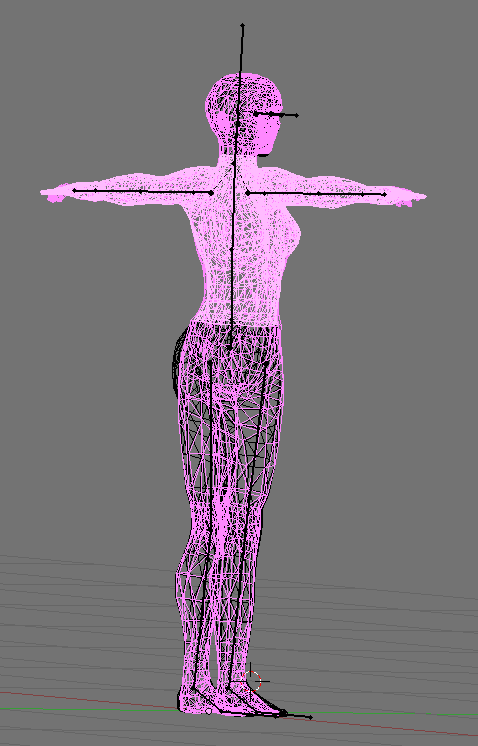 the better it fits to the mesh of the default SL avatar the more acurate will be the weight copy! But i also found that even rough correlations will be enough to gain reasonable results with this method in a very short time. Note: As mentioned before i do not know how tiny avatars behave in this context! go to edit mode and switch to face select mode. 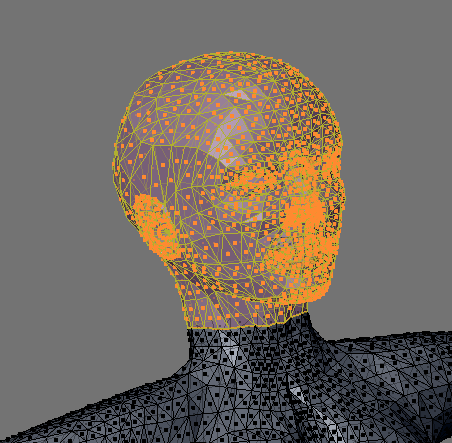 I do this, because in face select mode the seams will help me to select the right sets of vertices. ensure that no face is selected. 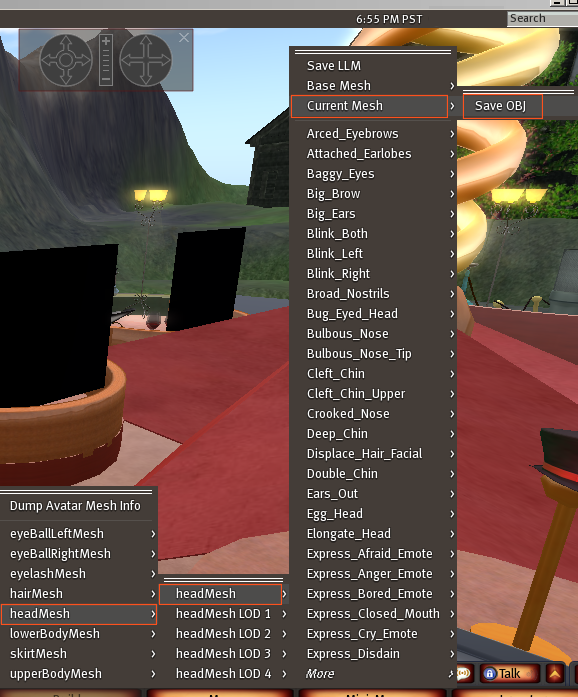 switch over to the layer 2 and SHIFT select the default SL-avatar head. Note: It is important that the SL-avatar head is selected AFTER your personal avatar! Selected both layers at the same time (SHIFT select the layers) so you can see both avatars together (see the image below). Note again that i have selected Layer 2 and 3 together. You see that the head is rendered in lighter pink. this indicates that the SL-default avatar has been selected as secnd object which is what we want. Depending on your computer power the calculation can take up to several minutes until the weights are finally copied. And sometimes the progress bar does not show up but the calculation still takes place. 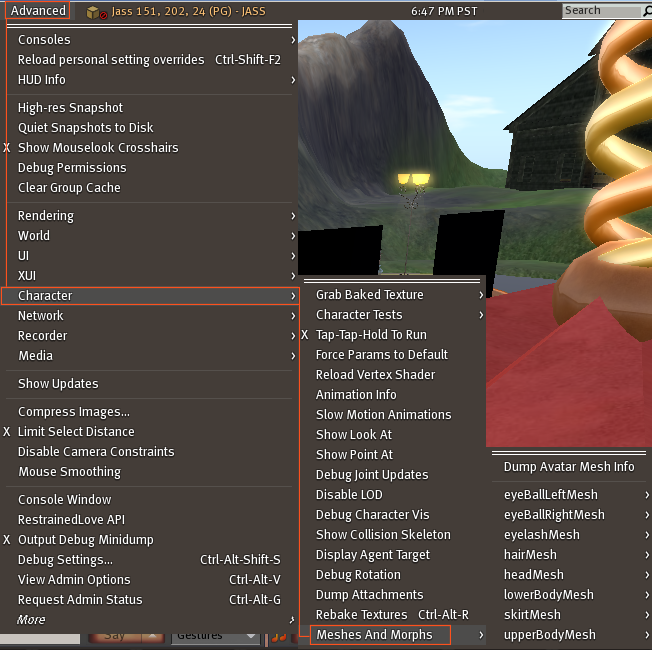 Select your personal avatar and lookup the vertex groups. (I think you will always see “Worried Eyebrows” as first selection. 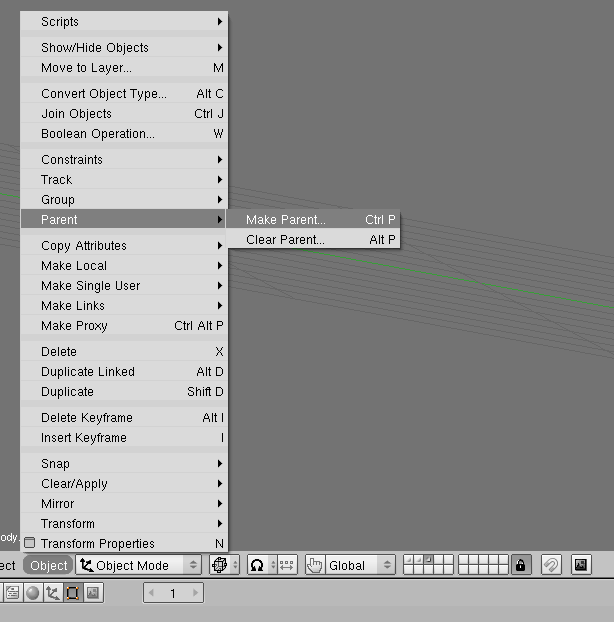 So this may give you a hit where to find the vertex groups in the edit button section (F9). From all of these groups only the 2 groups “mHead” and “mNeck” are relevant. The other groups have to do with the morph targets defined for the default SL_avatar. Since Morphs are not supported with meshes, we will ignore these vertext groups and just keep them. they are not harmfull. and now also checkmark “Update selected” ! If you do not do that, you will get an error about two objects with vertex keys not beeing processable by the copy process. So please ensure that “UPDATE SELECTED” is enabled! 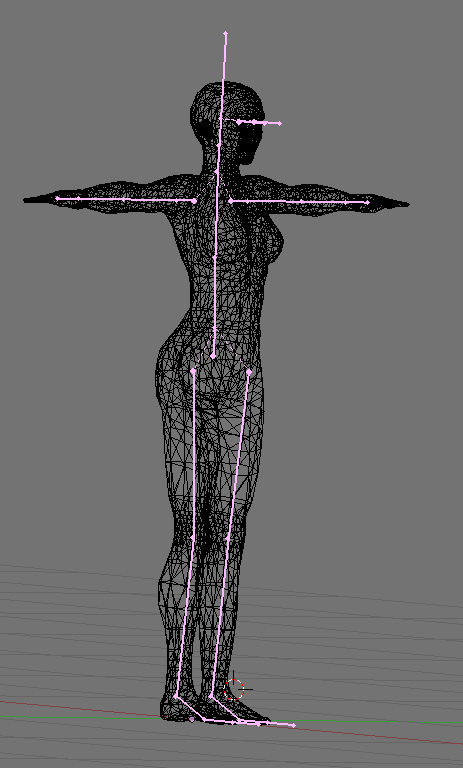 and select only the lower body part vertices. You know by now how to do that. By now our weight painting is done. We only need the rig. Note that by now you will see 19 vertex groups in your personal avatar which all start with the letter “m”. 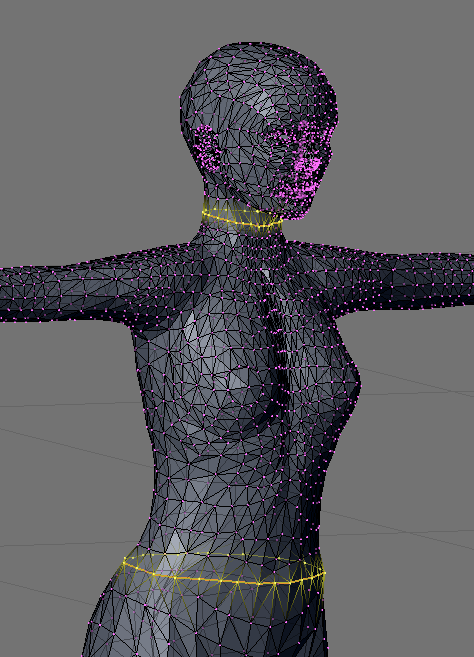 These vertex groups will be directly associated with the correct bones in our rig. The remianing groups are of no relevance for our purpose. Now go to layer 3. 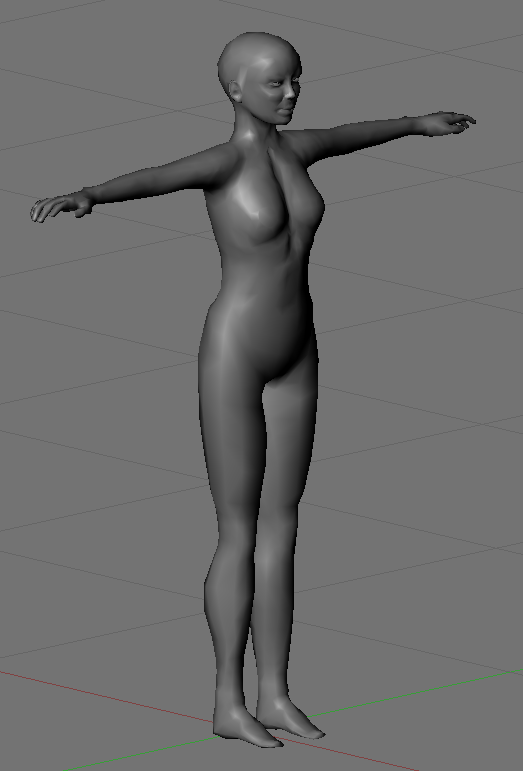 You will see the armature and your personal avatar. And if everything went right your avatar is already placed at the corre t location. Now right click the personal avatar. Actually i have seen a few issues with the Weights of the SL default avatar itself. And these problems get copied to our own mesh model. Look for example at the sharp edge at the wrist. 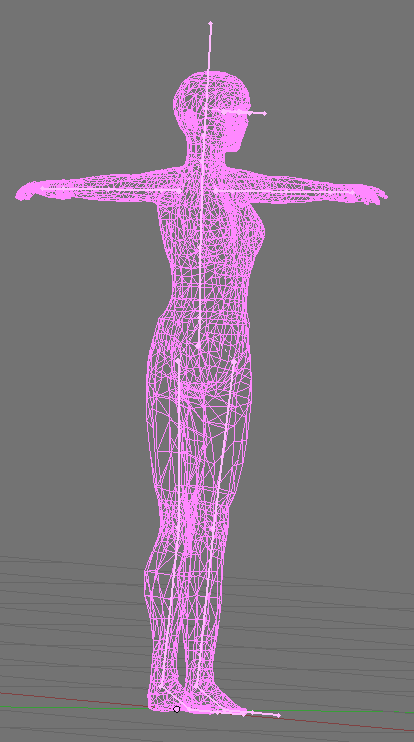 This is partialy caused by a bad mesh topology and by a bad weighting in that area. We will fix that issue later. Now select again (only) the whole lower_body part of your personal avatar. If you are not allready in Pose mode, go there now. 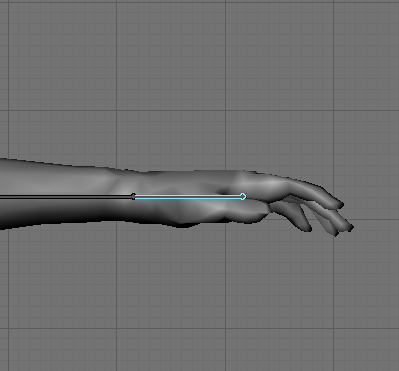 Now you can press ALT -“r” to clear the rotation of all selected bones. The rig should snap back to the rest pose. Now go to object mode. 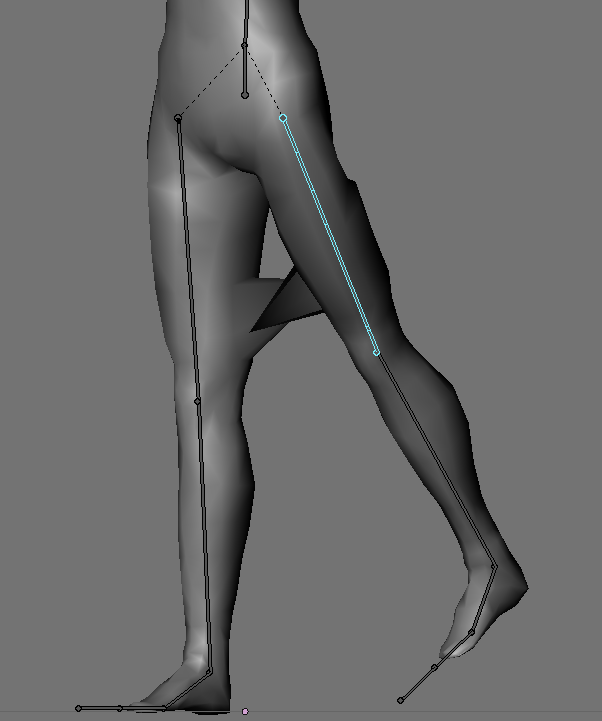 and SHIFT right click the lower body of the default SL avatar (on layer 2). 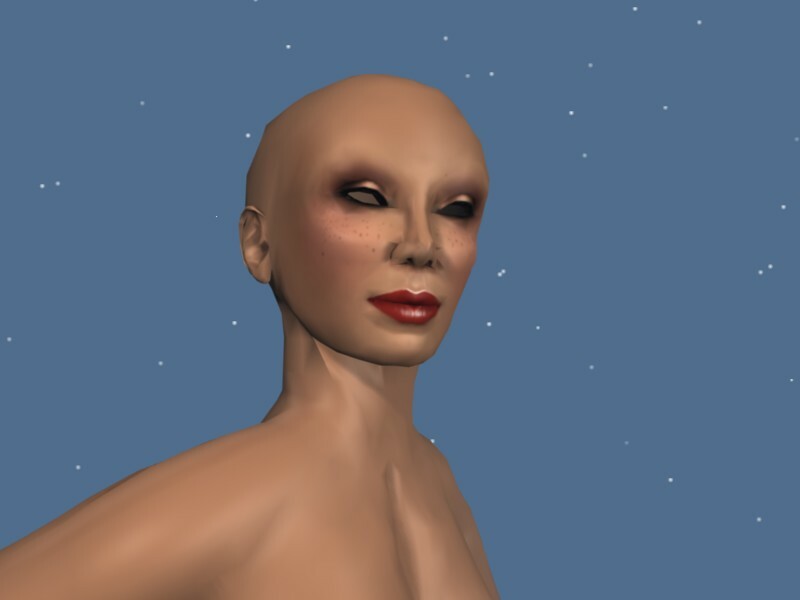 Used Avatar.blend to get the default SL avatar and the SL rig. 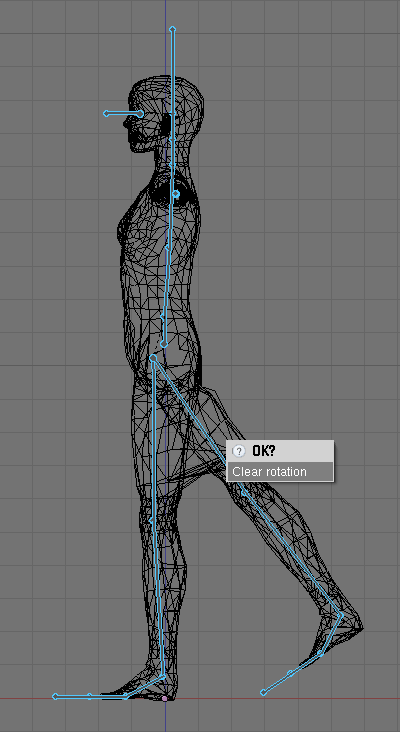 If you want to export this avatar, you first have to make the armature “real”. 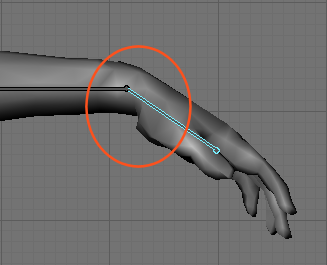 You go to the modifier stack, locate the armature and find the “make real” button. 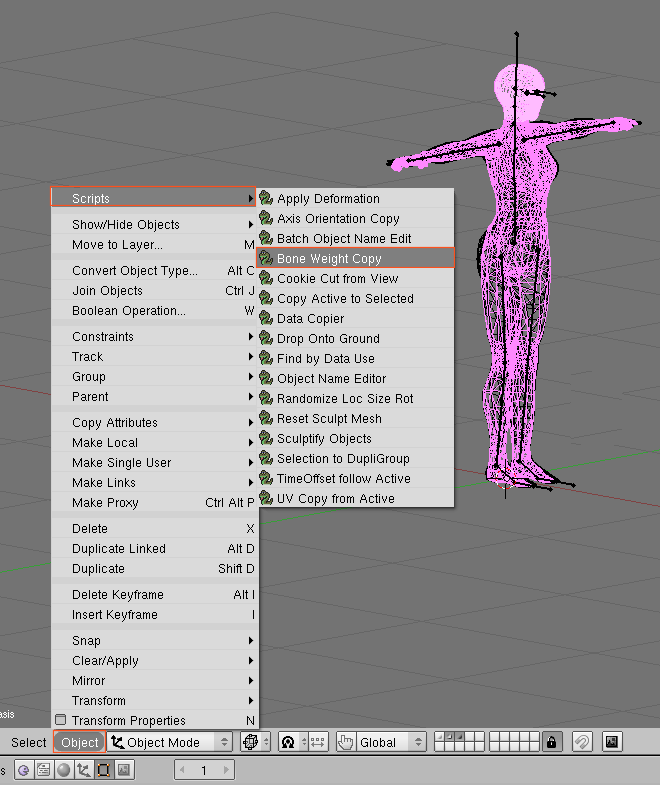 Click on the button and your armature is ready for export. If you do NOT do this, your collada file will not contain the weight data! If you want to get this avatar into the Mesh beta, just select the avatar and save it to a collada file. The weight data will automatically be added. – Select the head faces and assign these to one image. 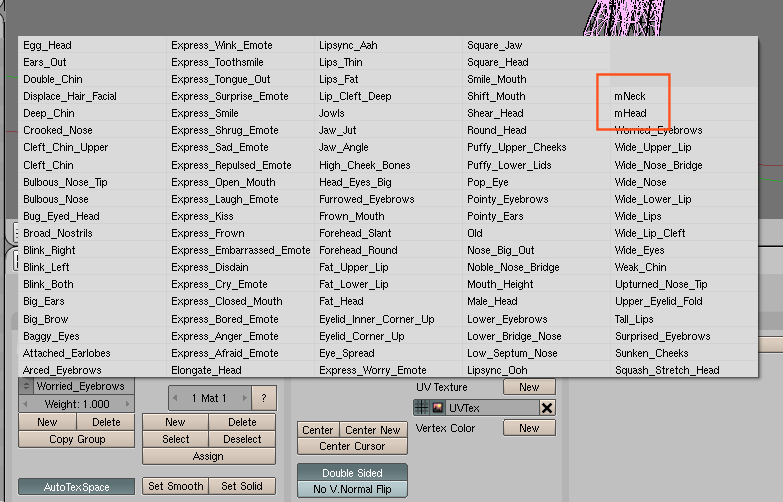 – Then select the upper body faces and assign those to a secnd image. The next tutorial will take care about weight painting.